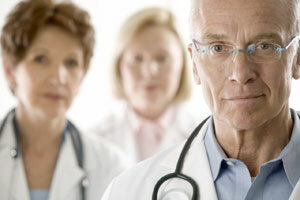 The Care Continuum Alliance recognizes the physician's role as leader of the care team for chronically ill patients. The Care Continuum Alliance advocates population health improvement strategies, such as wellness, prevention and chronic care management, to support physician office practices. Learn here how population-based approaches to care help physicians ensure the highest quality care for patients with chronic conditions. In this HealthLeaders Media Audio Feature, Care Continuum Alliance President and CEO Tracey Moorhead discusses the opportunities for population health improvement in a medical home. On Sept. 8, 2008, physician leaders Bruce Bagley, MD, and Paul Grundy, MD, presented an insightful keynote on the medical home and how population health can help physicians in this new model of care. Chronic disease management programs offer physician practices a path to national recognition as a medical home—especially smaller practices unable to invest in the health information technology necessary for recognition, The Care Continuum Alliance suggests in this new white paper. Read our principles for population health improvement and model for an integrated, physician-guided delivery system for population-based chronic condition care. This summary of a 2005 Care Continuum Alliance roundtable explores physician viewpoints on disease management and other population-based approaches to care and what population health stakeholders can do to demonstrate value to physicians. Physician-focused resources on obesity and overweight at the CCA Obesity Resource Center. Enhancing the Medical Home: A special educational track at The Forum 08, our 10th Annual Meeting. In 2007, The Care Continuum Alliance awarded its first Physician in Practice Leadership Award in population health improvement.